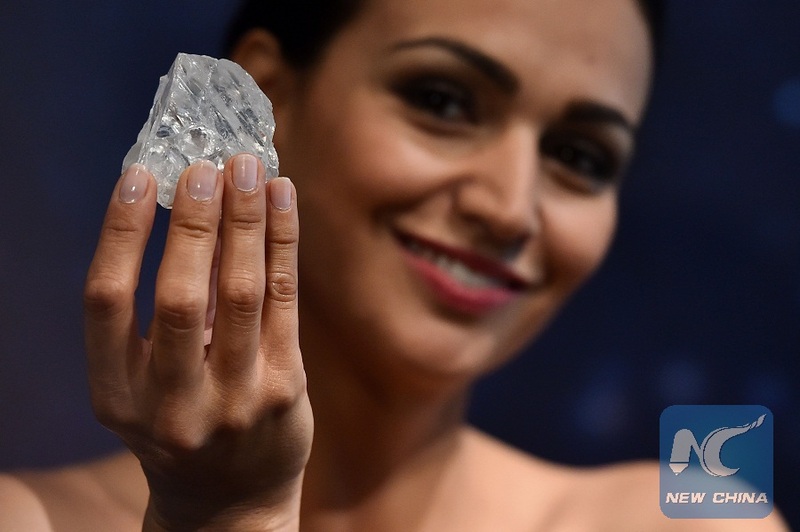 LONDON, Sept. 27 (Xinhua) -- One of London's top diamond companies announced Tuesday it bought the world's largest rough diamonds, a rare gem the size of a tennis ball. Media reports said the diamond has been sold for 53 million U.S. dollars. The acquisition follows Graff's purchase earlier this year of a remarkable 373 carat rough diamond that was originally part of the Lesedi La Rona rough, making this poignant reunion for the two stones: both now owned by Graff.